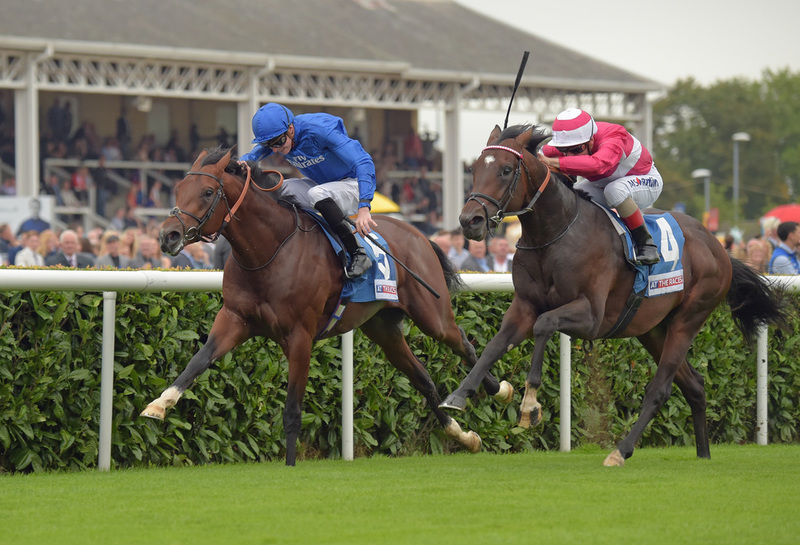 Welcome to a new Racing Post sponsored blog, highlighting Godolphin’s up and coming lots for sale at the Tattersalls Ireland Ascot March Sale. 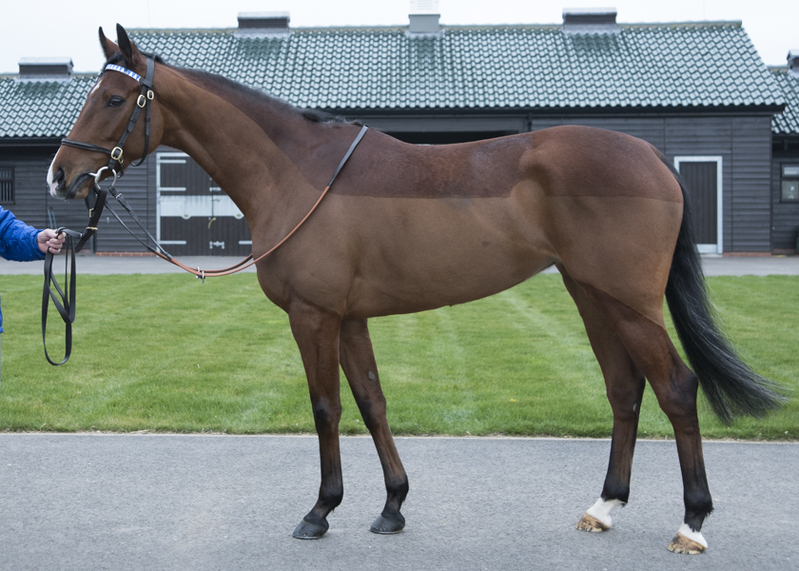 We will include a short summary of each horse for sale with more comments to follow over the coming days. 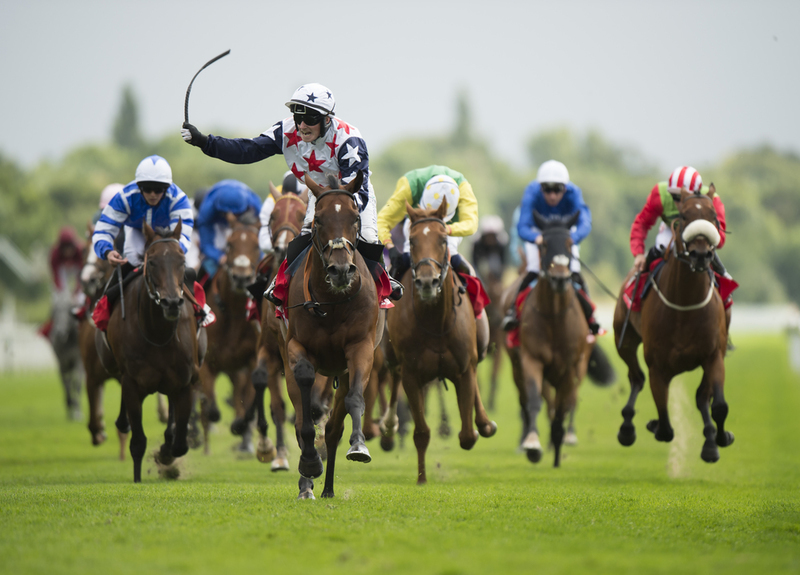 We have also added useful links to make each horse’s Racing Post form and/or progeny history readily available. 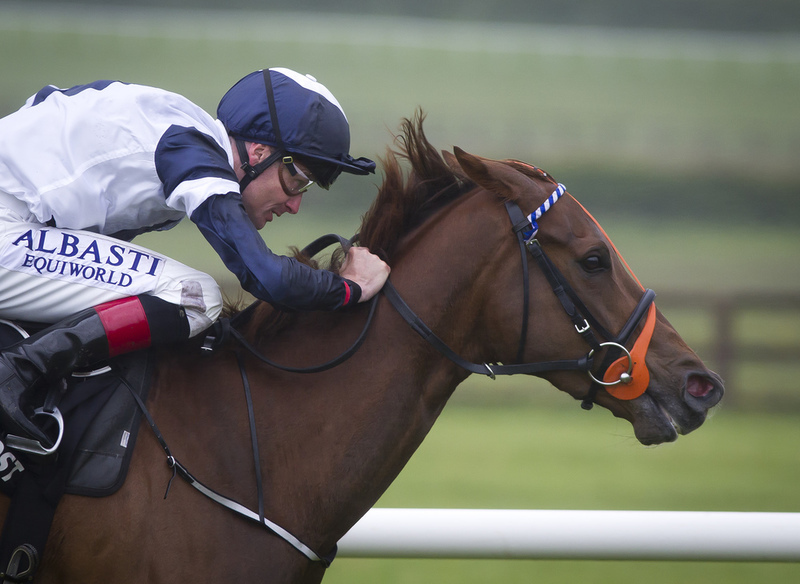 The Tattersalls Ireland Ascot March Sale takes place this Thursday, 23rd of March. As his name suggests Invincible Man is a son of champion sire Invincible Spirit. Beginning his career in January, the three-year-old colt has been placed twice in three starts, finishing second on his last start over 7f. His dam Elshabakiya is twice Listed-placed. The family includes champion two year old Myboycharlie who is responsible for the Beverly D. Stakes winner and consistent Euro Charline along with Caulfield Cup winner Jameka, who was just beaten in the Group 1 Australian Cup at Flemington last week. A fitting guest at Ascot, Hatmaker is an unraced son of Helmet. One of last year’s most impressive first-season sires, Helmet was the only freshman to sire a Group 1 winner in Europe. Hatmaker’s dam, Pina Colada, was placed twice in Graded company and has produced four winners to date. 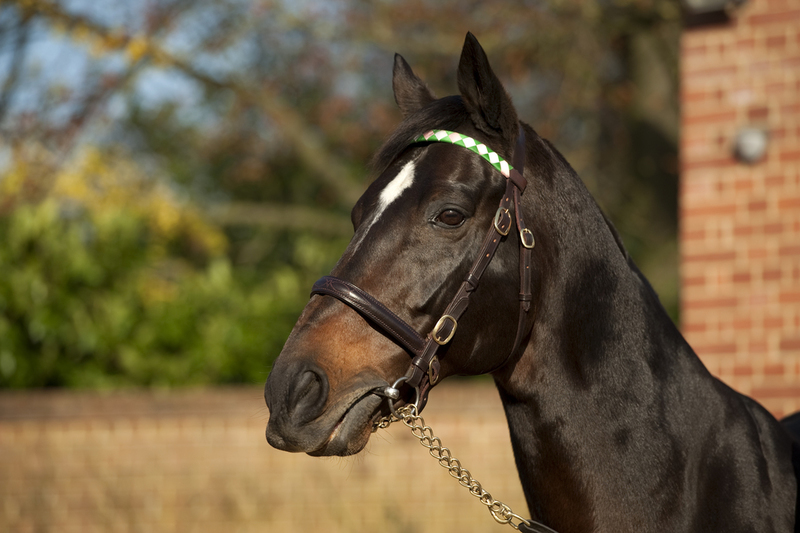 Champion miler Canford Cliffs features in the extended family. 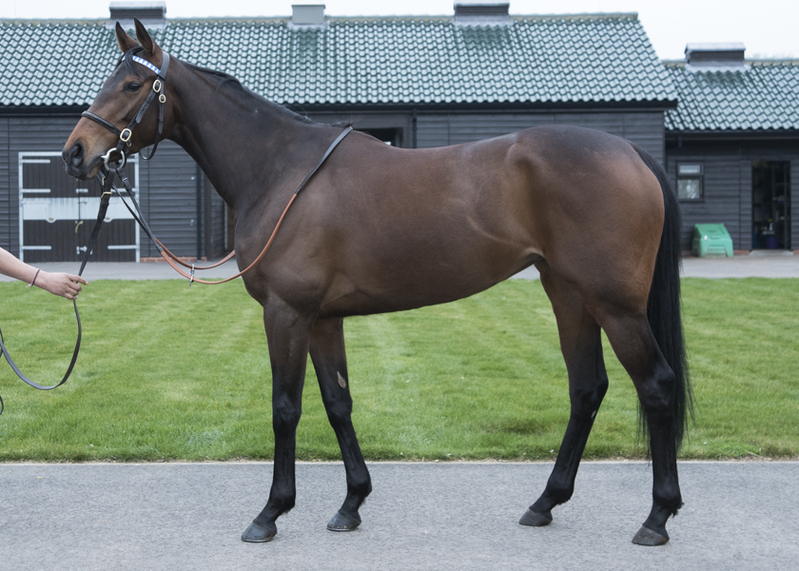 Dahl is an unraced son of Shamardal out of the Cape Cross mare Illandrane, who is a half-sister to Group winners Arvada and Adagio. 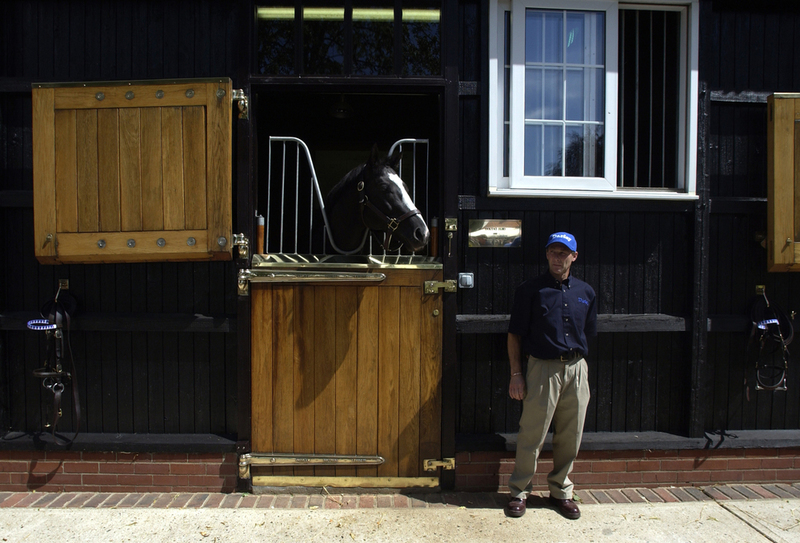 Dahl is from the family of Twyla Tharp, dam of champion racemare The Fugue with the extended family including 2016 Longines Champion Sprinter Limato. An unraced son of Lonhro, South Downs is out of a half-sister to Queen Mary Stakes winner Anthem Alexander and Ballyhane Stud stalwart sire Dandy Man. 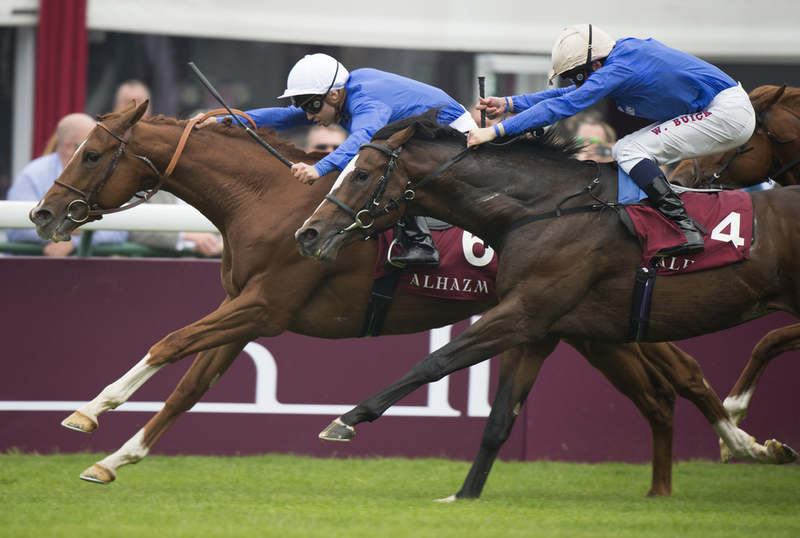 They are out of the Group 3 winner Lady Alexander, while another of her daughters, Lady Shanghai, produced Hamza, winner of the Abernant Stakes and third to Maarek in the Prix de l’Abbaye. Phoenix Stakes winner Sudirman is also in the family. The unraced Masonry Man is the second foal out of the Street Cry mare Sabaweeya who has produced one winner from one runner. He is from the family of Arc winner Marienbard and Joel Stakes hero Ransom Note. 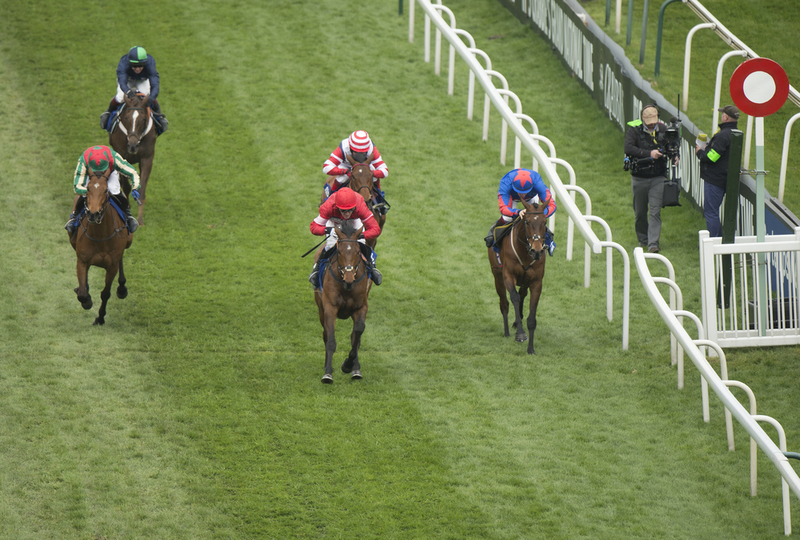 The family also boasts strong National Hunt credentials, with a brace of Aintree specialists which in Grade 1 Novice Hurdle and County Hurdle winner Lac Fontana and Grade 1 Juvenile Hurdle winner All Yours. The unraced Soldier’s Fortune is out of the Listed placed Kerrys Requiem, who has produced one winner from one runner. 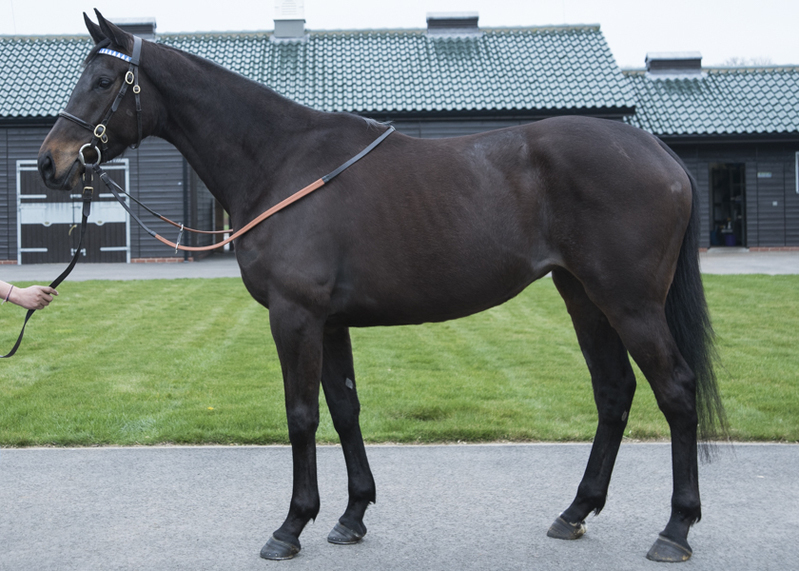 The Prix Saint-Alary winner Moonlight Dance is the third dam while Ming Dynasty (winner of the Group 2 Prix du Conseil and fourth to Highland Reel, Flintshire and Dariyan in the 2015 Hong Kong Vase) and the 2016 Ebor hero and Melbourne Cup runner-up Heartbreak City feature in the extended family. Reception is an unraced half-brother to Middle Park stakes winner Amadeus Wolf, sire of Group sprinter Hamza, and Rouleau, who landed the Sirenia Stakes in 2015. 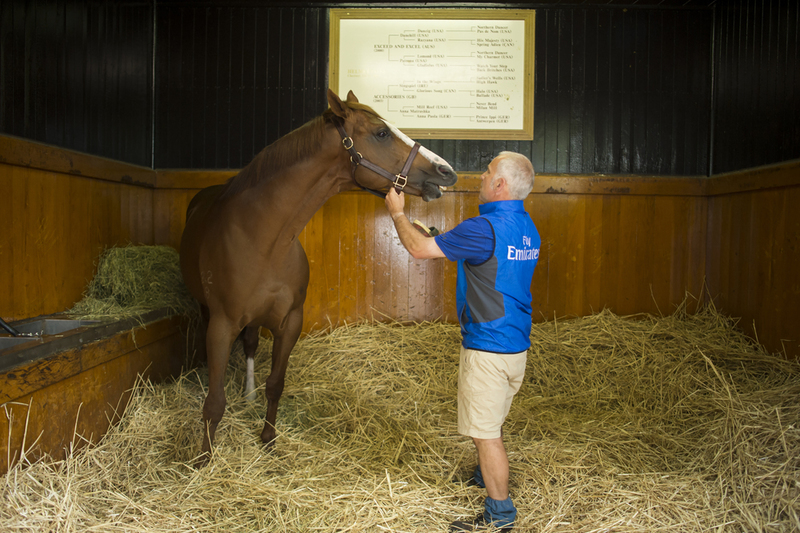 New Approach needs little introduction as the sire of champion two-year-old and 2,000 Guineas hero Dawn Approach, Oaks winner Talent, Derby runner-up Libertarian and Group 1 winners Sultanina and Elliptique. 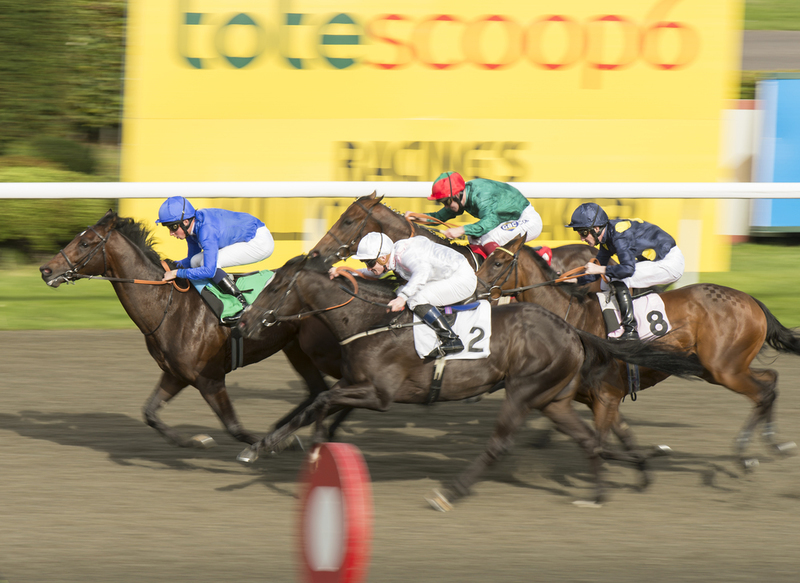 The wider family also includes stakes performers Wild Wolf, Storm Creek and Fircroft. 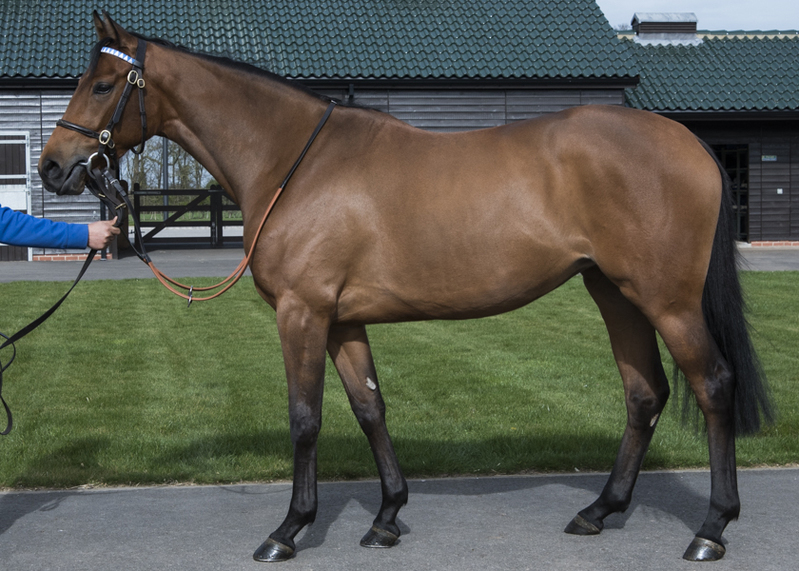 Broadway Dreams is an unraced Oasis Dream gelding out of the Listed-winning mare Rosa Eglanteria. 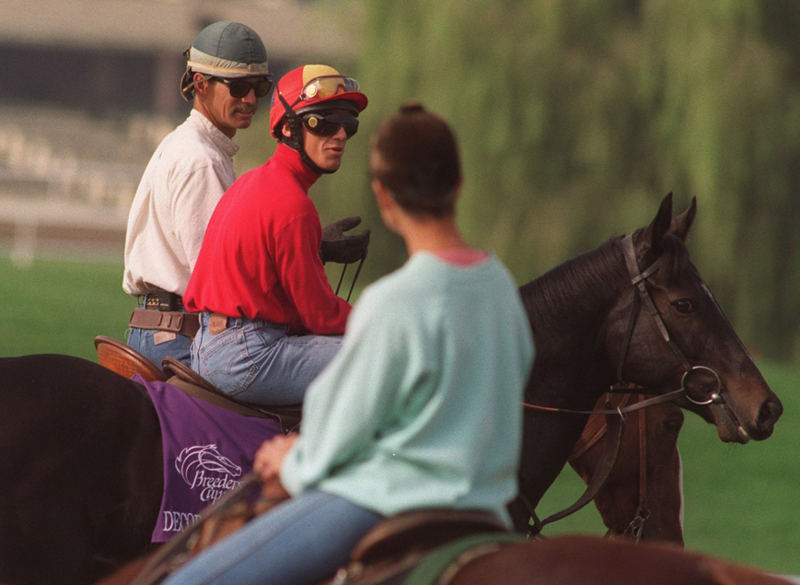 Some of the stakes horses in the family are Grade 2 American Invitational Handicap winner Whilly (who also finished second to the Australian raider Elvstroem in the Group 1 Dubai Duty Free at Nad Al Sheba), Graded placed chaser Majkov and the multiple Group winner Decorated Hero. The Mark Johnston-trained Avantgardist has shown promise by finishing placed in three of his five starts and he recorded his best RPR when finishing second in a maiden over 1m2f at Pontefract. 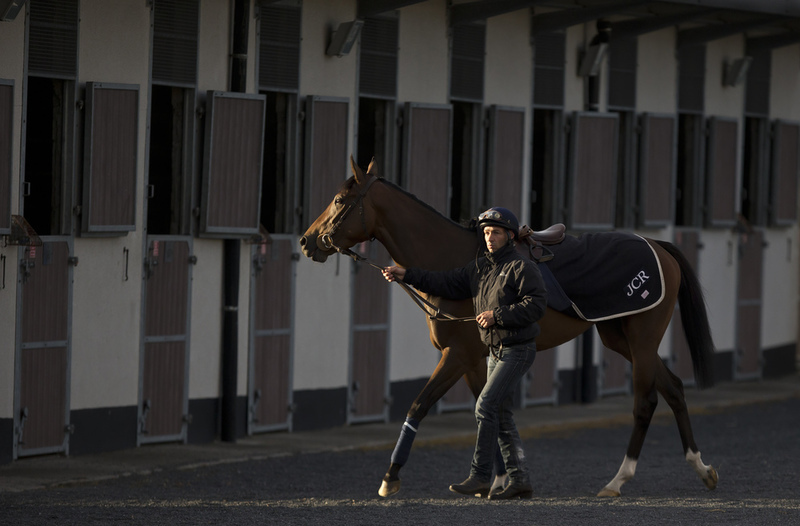 The family appears to appreciate time and distance; the pedigree includes top level performers such as 2016 Melbourne Cup winner Almandin and Cheltenham bumper winner Anonis. Baby Helmet has run four times and hit the board when stepped up in trip. 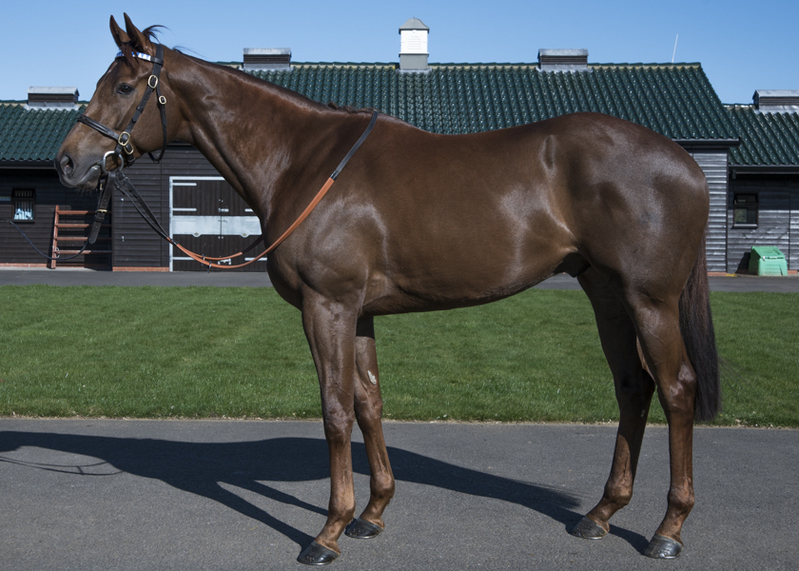 He is out of the Listed-placed Lady Gorgeous and shares a page with 2016 Coronation Stakes winner Qemah. 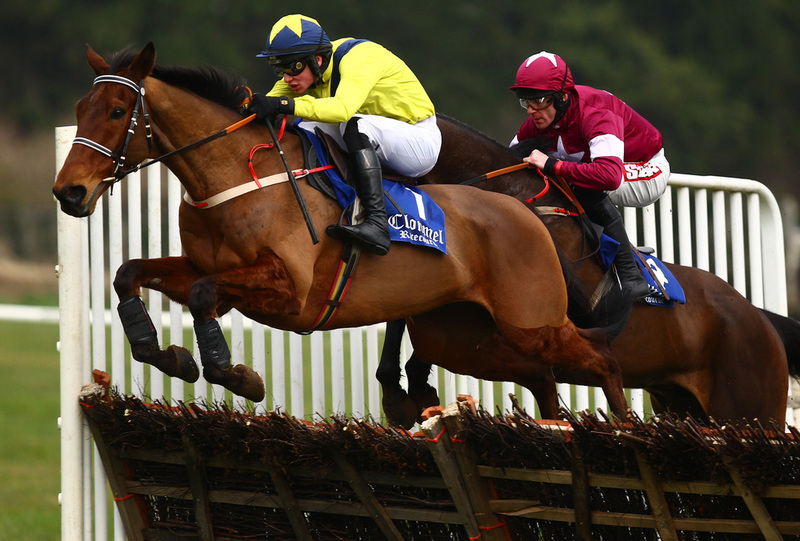 Versatility is also in the family through I’m Supposin, who finished third in the Royal Whip Stakes and won the Kingwell hurdle before going on to finish third to Istabraq in the Champion Hurdle. 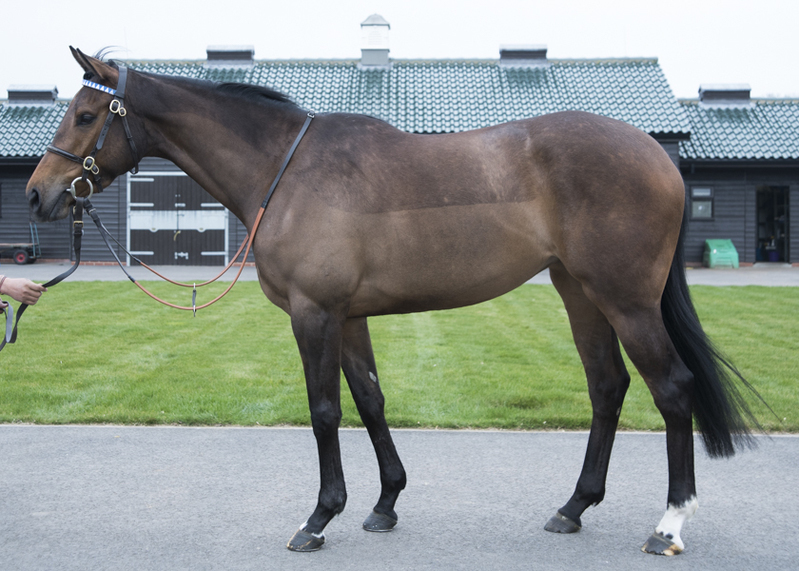 This Cape Cross filly has never been out of the frame, winning once and finishing placed in the rest of her six starts. She has been consistently campaigned over a mile, but recently finished third when stepped up to 1m2f. African Beat is the first foal out of the winning mare Rythmic and hails from the top-class family of Prix du Jockey-Club winner Anabaa Blue, Group 1-producing sire Tamayuz and Arc winner and the bluest of blue hens, Urban Sea. The first of Godolphin’s Dubawi fillies, Silk trade is out of the Listed winner and Yorkshire Oaks runner-up Ocean Silk and is yet to run. Her wider pedigree includes Champion race filly Divine Proportions and Maurice de Gheest, Prix Morny and Jacques le Marois winner Whipper (sire of Prix de l’Abbaye winner Wizz Kid). Twice placed at two over 5f, Lightning North is from the first crop of top-class sprinter Mayson. She is a half-sister to Taajub, who was placed second in the Gimcrack at York. The family includes Group 2 winner Notability, Prix La Force winner Simon De Montfort and the Sandown Classic Trial winner Simeon. A daughter of Invincible Spirit, Chinese Rose is an unraced half-sister to Challenge Stakes winner Miss Lucifer, who produced Group 2 winner Shuruq. Group 1 winners Virginia Waters and Chachamaidee are prominent in the family, as are Group winners Legend Maker, Alexander Of Hales, J Wonder (beaten 4 ½ lengths by Tepin in the Grade 1 Just a Game Stakes at Belmont) and Racing Post Trophy third Celestial Path. The dam of Catherine Bennet is Cheveley Park Stakes heroine Carry On Katie, who has also produced the Sirenia Stakes runner-up Vocational. 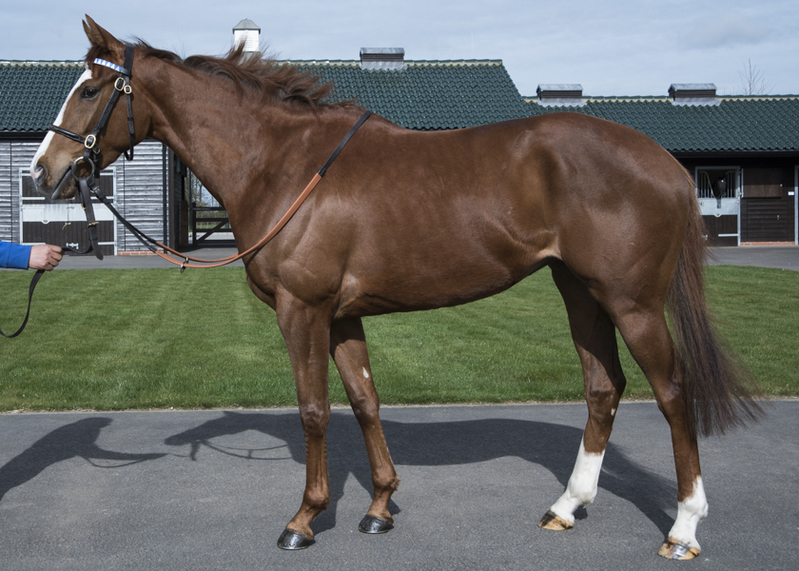 Vocational also finished 3 ¼ lengths behind Requinto and one length behind Lilbourne Lad in the Flying Childers Stakes at Doncaster. Group 1 winners Kostroma, Ariege, Grise Mine and Nashoba’s Key are some of the names in the further family. Placed on his first start at two, Echoism is a half-brother to July Stakes runner-up Figure of Speech who was beaten a neck by Anjaal in the race. 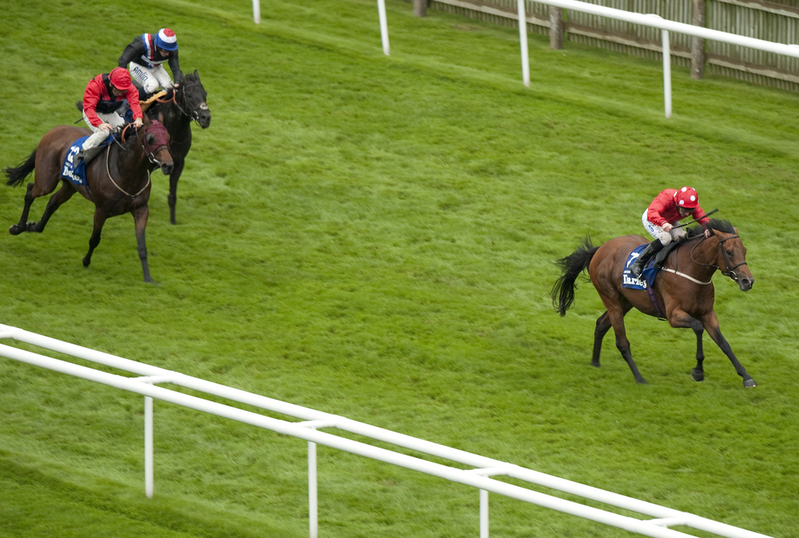 He then went on to finish second by a short head to Brown Sugar in the Sirenia Stakes. Echoism is out of the Listed-placed Epic Similie, whose half-sister produced 2015 Prix Jean-Luc Lagardere winner Ultra and Prix Minerve winner Synopsis. Cheshi is a half-brother to three winners out of the dual Listed winner Secret Charm. Secret Charm is a half-sister to Relish The Thought, a Listed winner and Oaks third who has produced My Gi Gi, a Grade 2 winner in the US. Grade 1 American Oaks Invitational winner Gozzip Girl is also in the extended family. One of the three Dubawi fillies in Godolphin’s draft, Crystal River has had only one start to date, beaten only 2 ¾ lengths. Her dam Inner Secret is a half-sister to Librettist, Dubai Destination and Secret Number. Wensleydale Juvenile Hurdle winner Leoncavallo is also in the immediate family, as is Tatra who twice finished third to champion New Zealand three-year-old and Arrowfield stallion It’s A Dundeel, in both the Group 1 Guineas races at Randwick and Rosehill. He also finished third to Pierro in the Group 1 Champagne Stakes as a two-year-old. 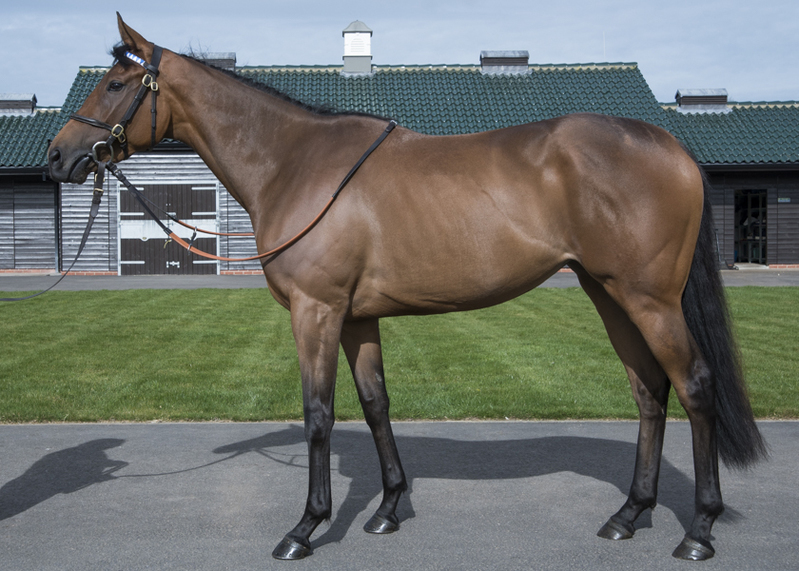 The unraced Newcomer is the second foal of Khor Sheed (by Dubawi), a dual Graded and Listed winner, and half-sister to Prix d’Ispahan winner Prince Kirk. Khor Sheed also has a two-year-old colt by Dansili and a yearling colt by Frankel. The wider family includes Group 1 Princess Elizabeth Stakes winner Halo’s Princess, two-time Group 1 winner in Australia Voile D’Or and Rosehill Mercedes Classic winner Curata Storm. Placed once from only two starts, Rationality is the first foal out of Real Sense, a half-sister to Group 1 winner Saddex. Saddex sired Pas De Deux, a multiple Group winner in Germany last year. The family includes Grade 1 winners Denon, Chimes of Freedom and her sons Aldebaran and Good Journey. 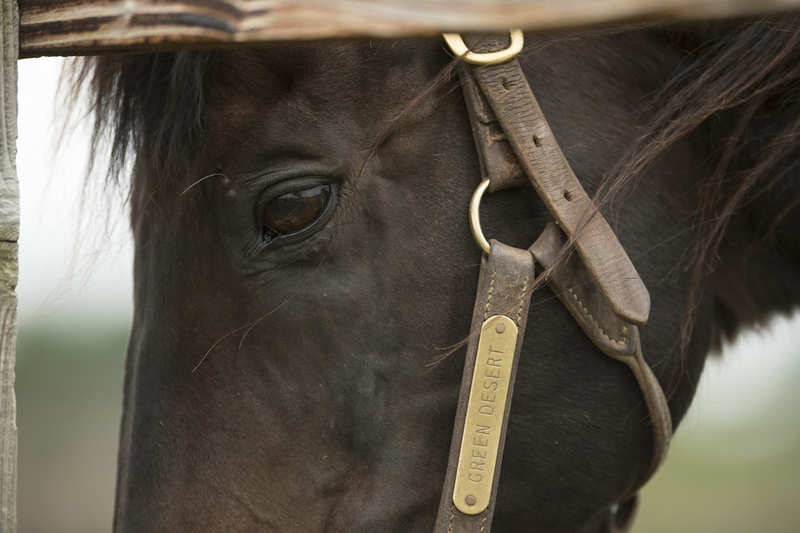 Altogether, the recent family has produced six sires who have stood breeding seasons around the world. Marian Halcombe is a half-sister to five winners and hails from a family of top performers with some agonising misses at Royal Ascot. One of Marian Halcome’s half-sisters is the dam of Group-winning sprinter Cotai Glory, denied by a neck by Profitable in last year’s King Stand Stakes. Second dam Eternal Reve won the Matron Stakes but was beaten a short head by Kissing Cousin in the 1994 Coronation Stakes. Classic winners Las Meninas and Mehthaaf were amongst the beaten fillies that day. Lightly raced, Shine Through is from the immediate family of Park Express Stakes winner Oh Goodness and Eradicate, a Listed winner on the Flat and also the winner of the Swinton Hurdle. The extended family includes Falmouth and Nassau heroine Caramba as well as champion two year old filly Lemon Souffle who later produced Grade 2 hurdle winner Lemon Silk. Sire Poet’s Voice has made a good start at stud and last year supplied Oh So Sharp Stakes winner Poet’s Vanity, around a 20-1 shot for the 1,000 Guineas. 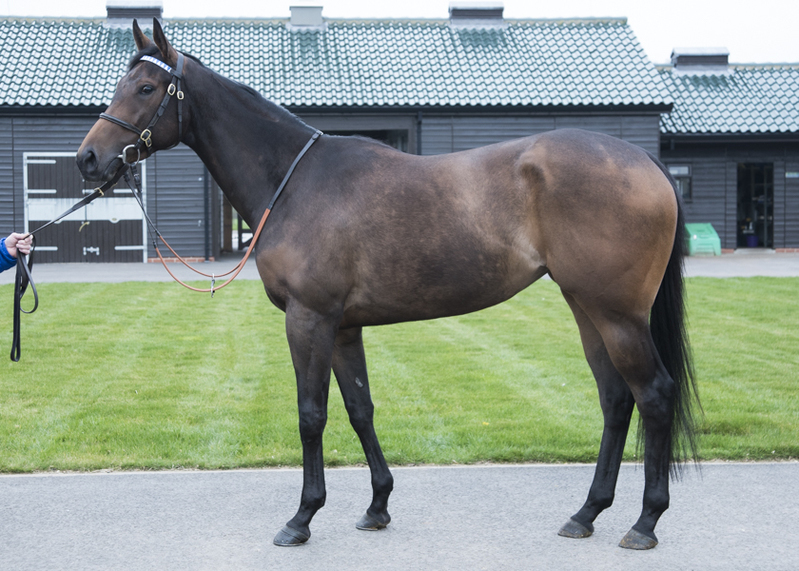 A daughter of Invincible Spirit out of the Teofilo mare Tajriba, Spirited Charm is currently unraced. Irish 1,000 Guineas winner Nightime is in the immediate family and she is responsible for Zhukova, a dual Group 3 winner in 2016. Zhukova beat the boys in the Enterprise Stakes at Leopardstown, in which last year’s Derby runner-up US Army Ranger was among the vanquished. An unraced daughter of Cape Cross, Babette is from the family of Moyglare Stud Stakes winner Saoirse Abu. The extended family includes the champion Balanchine, while more recent winners include 2016 Group 1-winning two-year-old Thunder Snow, Always Smile, Havana Cooler, First Victory and UAE Oaks heroine Ihtimal. Completing the trio of Dubawi fillies consigned by Godolphin, Lost Diamond is a half-sister to Great Voltigeur Stakes winner Centennial and Salsabil Stakes winner Siren’s Song. The wider family includes 1,000 Guineas winner Sleepytime, alongside her sons Gentleman’s Deal and 2016 Superior Mile winner Hathal. Out of the winning mare City Vault's Girl, Majboor is a half-brother to the winning and dual-Listed placed City of Stars. City Vault's Girl is a half-sister to several black-typed horses including the 2016 Woodbine Ontario Matron Stakes (GR 3) winner Uchenna and Uramazin who won the Hong Kong Derby Trial (Gr 2) in 2010.